The Food Pantry Ministry is delighted to inform the congregation that it had submitted a "Thrivent Action Team project, which they approved and we received $250.00 for an Easter food pantry project. These funds helped us to provide Easter "baskets" of food to 12 local families (46 indiciduals) in need. Each "basket" included one $15 supermarket gift card, fresh string beans, carrots, potatoes, onions, canned fruit, bottled juice, vegetable oil, boxed milk, cake mix and frosting, a chocolate cross and jelly beans! "Baskets also included an Easter card from Zion, along with a prayer-from-the-heart-card. Thank you all for your support. The fight hunger campaign continues and we are on to our next goal to keep our local food pantries stocked for those in need. 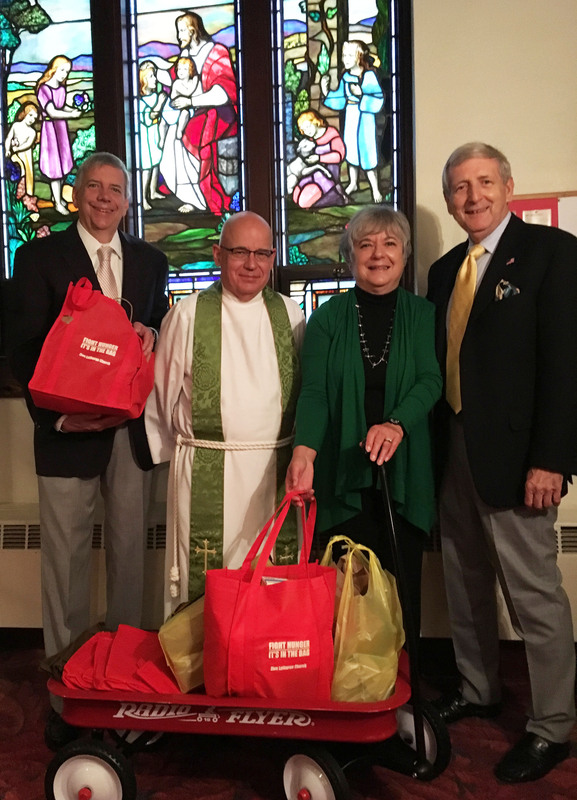 Reusable red grocery bags are available in the narthex. This outreach program works well as a class project or an errand for a child. Children appreciate the opportunity to give back to the community and help those in need. The groceries are colorful and it is easy for children to understand the need for families to eat. It is good for those giving and those receiving. Anyone who would like to start a class project and support the local foodbanks, please stop by the church office at 155 Second Avenue in Westwood. You can also call 201-664-1325. The following is a list of items that the food banks currently are in need of. As always any gift cards for the grocery stores are also appreciated and can be used to buy produce or fresh meat. Canned tomatoes (stewed, crushed, plum, diced). grated shelf stable cheese, applesauce, meals in a box, small-size jars of mayonnaise, begetable or olive oil, ketchup. 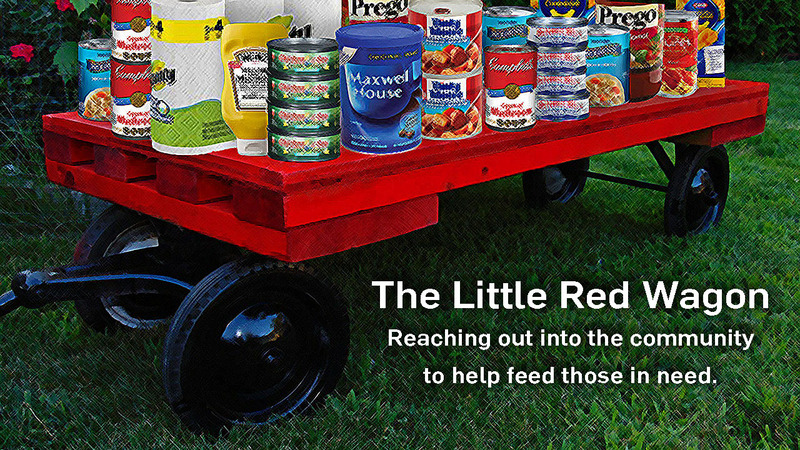 Please bring the items you collect and drop them off at Little Red in the church. The office is open from 10:00 - 2:00 pm Monday - Friday. You can also drop them off when you come to church at the 8:00am service or the 10:15am service with Sunday School. This is a wonderful community outreach program. You do not have to be a member of Zion Lutheran to participate, just a concerned citizen who cares about those who are less fortunate. 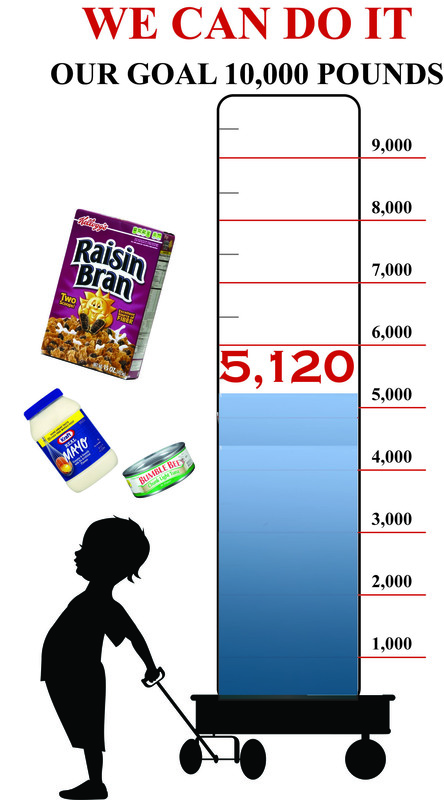 We added 60 pounds to our 5,060 total last week and our new total becomes 5,120 pounds. WE ARE truly blessed to have a congregation that continues to help and support the fight against hunger.